Veteran blogger, businessman and radio host Mark Lopez made an interesting expose about the controversial news posted by various news media outlets in the Philippines about the controversial statement supposedly released by the US State Department. According to the information gathered by Mark Lopez through his research online, he was curious with the statement because of the facts that there was no name identified by the alleged statement released by the US. 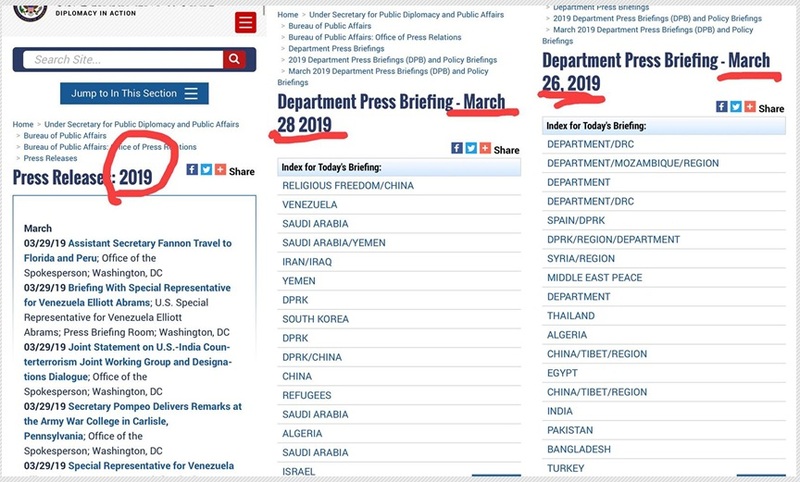 The US State Department is known to be transparent in terms of press releases and statements regarding international issues involving the government of the United States and other countries involved in the issue. Mark Lopez dig deeper and he found out that there is no issuance of any statement involving Maria Ressa. He also urged the Facebook Fact Checkers in the Philippines to investigate the issue so that Facebook will not become a victim of fake news. Gusto lang po natin maliwanagan. Meron po lumabas na news na may statement daw ang U.S. Department of State (yung katumbas ng DFA natin) patungkol sa pagkaka arrest kay Maria Ressa. Eto po yung screengrab sa Photo number 1. 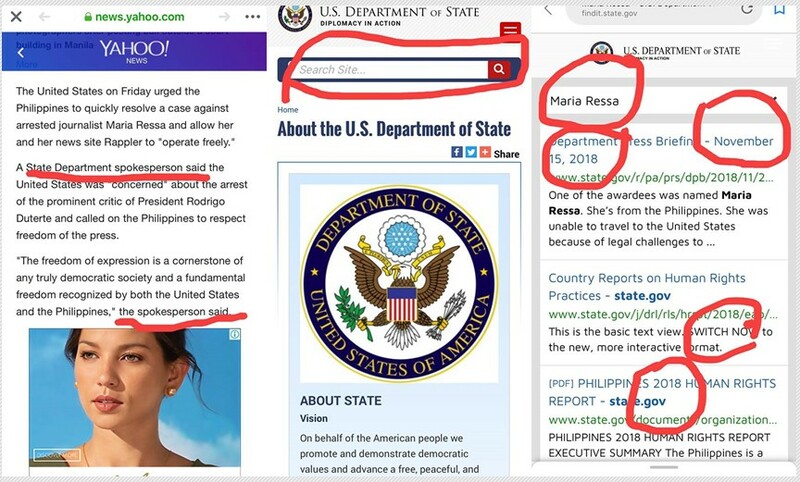 Nagtaka lang po tayo kasi walang pangalan yung spokesperson ng US State Department eh usually napaka transparent po nila pagdating sa mga press briefings, press releases and mga official statements. Meron po search box yung State Dept website so a simple typing “Maria Ressa” should reveal ung latest or ung update tungkol sa subject. Sa Photo 3, jan lumabas ang mga department briefings o releases o report na may “Maria Ressa.” Ang pinaka updated na entry eh 2018 pa.
Tapos hindi tayo nakuntento, we also checked the archives ng press briefings and press releases. Sa press releases, may daily updates sila so ung pinaka latest na March 29 eh wala din about Ressa. pero wala din about Ressa. 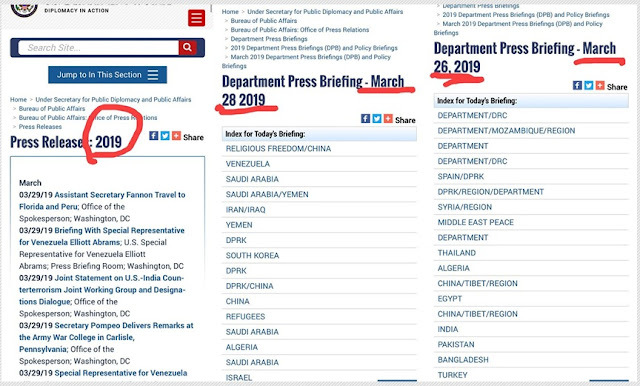 So san galing ung press release na may unidentified State Department spokesperson? Meron ba talaga statement ang US State Department. Puede ba natin pa fact check ito please, baka naman na miss out ko lang? Kung meron jan makapag validate nung news na genuine yun, we will appreciate being enlightened, di ba mga peeps?